Arsene Wenger has hit back at his critics and said he is determined to continue at Arsenal after coming under fire following the Gunners' shock Capital One Cup defeat at Bradford on Tuesday. Arsenal were dumped out of the competition by the League Two side after losing a penalty shootout while their Premier League form has been disappointing with the Gunners currently 15 points behind leaders Manchester United. However, Wenger says that whilst he understands some of the criticism that has come his way, he has no intention of leaving the club. "My job is to be determined. 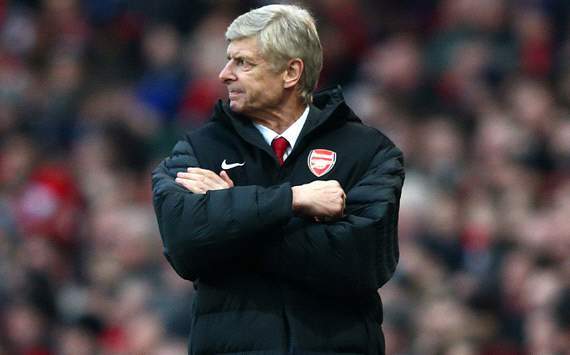 I love football, I love this club and I give my best for this club," Wenger told reporters. "I am very determined and very hungry. If I wasn't, I would not be here. "I can understand when people criticise when the results are not expected." Goal.com revealed on Wednesday that some Arsenal players were losing faith with their manager, but the 63-year-old insists that he has faith in his men. He added: "This team cares, it is serious. I do not question their spirit." The Gunners travel to Reading on Monday as they look to bounce back from their shock quarter-final loss.